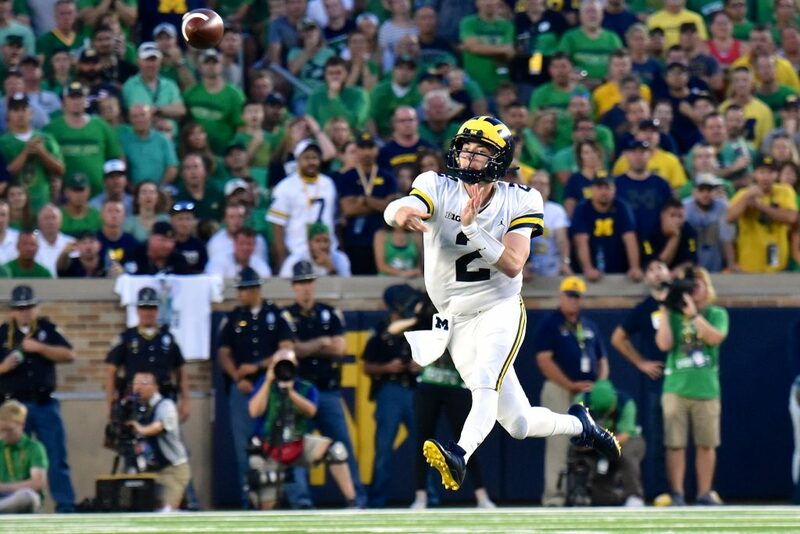 Michigan dropped its season opener for the second time in the Jim Harbaugh era as the Wolverines fell 24-17 to the Fighting Irish of Notre Dame. It was yet another loss to a rival and one that clearly pushed some fans (and Big Ten analysts) over the edge. It was a tough blow to a season that was expected to be special. But it’s far from over and everything remains in front of the 2018 Wolverines. This was far from what anyone expected in the season opener but it’s also not the end of the world. Michigan has the full conference schedule ahead of it but first has two more out of conference games coming up, including this weekend’s matchup with the in-state Western Michigan Broncos who dropped its opener 55-42 to Syracuse. This should be a game for the offense get things ironed out. Look for Michigan to come out swinging to get the bad taste from the Notre Dame loss out of its mouth.